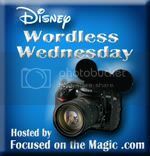 This week's Wordless Wednesday's theme is Wildlife. Thanks to Deb for hosting this blog hop - why don't you stop by and join in. Jambo everyone, and welcome to Kilamanjaro Safari and your two week adventure. Please seat children in the middle of the seat and watch your step as you board. It can get bumpy so hold on to your cameras, hats and glasses since we can't stop to retrieve them. All set? Gorgeous photos. Adore the sleeping/sunning hippo one, very unique to capture them out like that. Great shots as always Mark! Love the hippo lying about in the sun. That's the Disney life! Thanks for sharing and for joining in the DWW Blog Hop fun today! These are fabulous pictures! Makes me want to go to Animal Kingdom right now! Perfect pics for the wild theme- these shots are GREAT! Great shots!! They perfectly lend themselves to funny thought bubbles, by the way. Not that I was imagining what they'd say as I was viewing. Haha!! These are some beautiful wildlife pictures. If you didn't tell me this was at Animal Kingdom, I would think you would have brought me to an African Safari with you. Love the hippo shot and oh my, those are some big horns on that animal! Wow, your photos are beautiful Mark! Beautiful shots! So clear and serene! Some great shots!! I love the one of the hippo! Wordless Wednesday - The Letter "J"